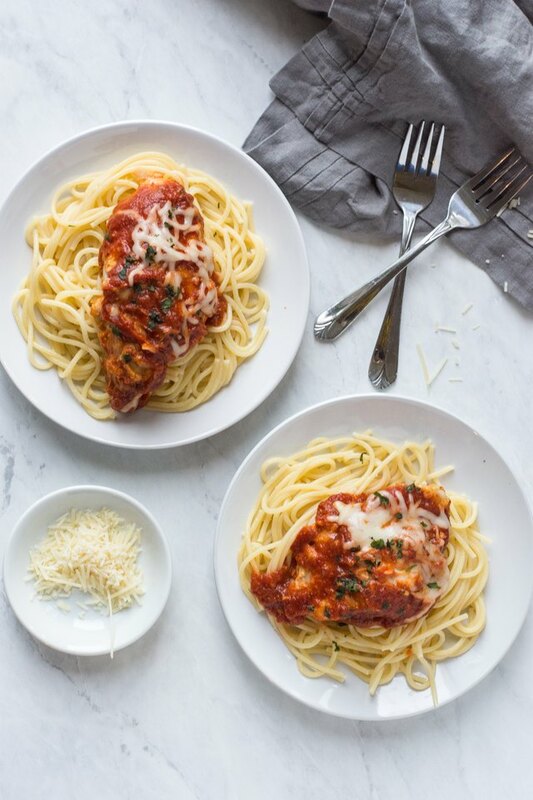 It's no secret chicken parmesan is a dinner favorite. The savory flavors of cheese and tomato sauce on breaded chicken is the ultimate comfort food. But often times when you seek comfort food, you're in no mood to spend hours in the kitchen! That's where the Instant Pot comes in. Make this classic dinner in a fraction of the time! 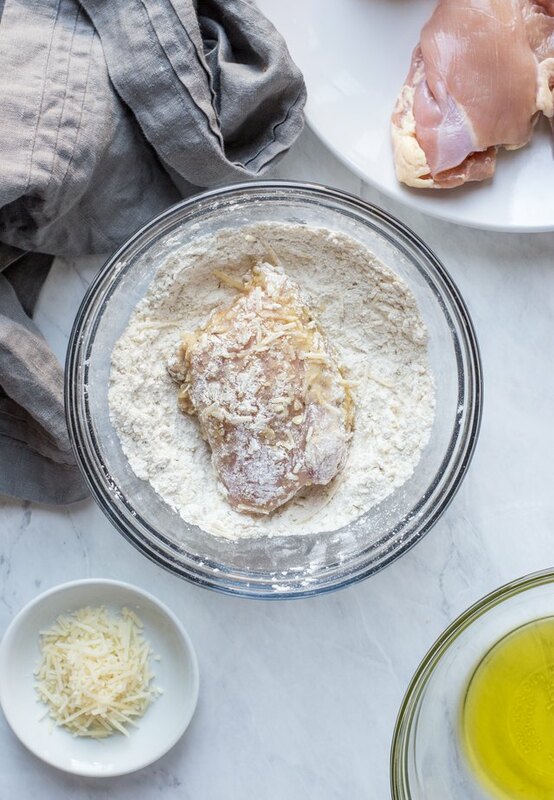 Mix together flour, Parmesan, garlic salt, oregano, and pepper in a small bowl. 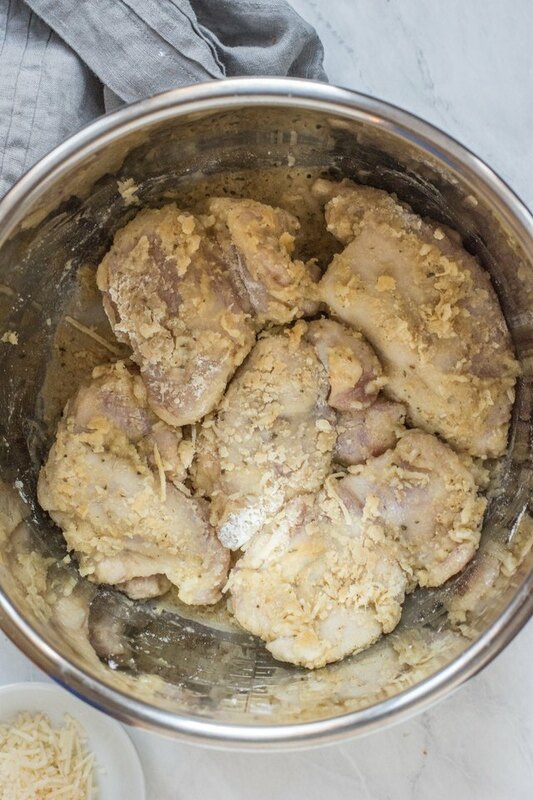 Coat each chicken breast in olive oil and then dip in the flour mixture, breading both sides. Set aside. Select "Saute" button on the pressure cooker. Pour in remaining olive oil. Place chicken breasts in the pot and cook both sides until brown and slightly crisp, about 5 minutes each side. Select the "Cancel" button to turn off. Pour tomato sauce over chicken. Lock the lid and flip the valve to "Sealing." Push the "Manual" button and set the time to 12 minutes on high pressure. When chicken is done, release the valve to "Venting" to quick release the steam. Sprinkle mozzarella on top and replace lid another 5 minutes to let the cheese melt. Serve over pasta, rice, or quinoa while warm.